What a night is was in St. Louis and Oakland last night. 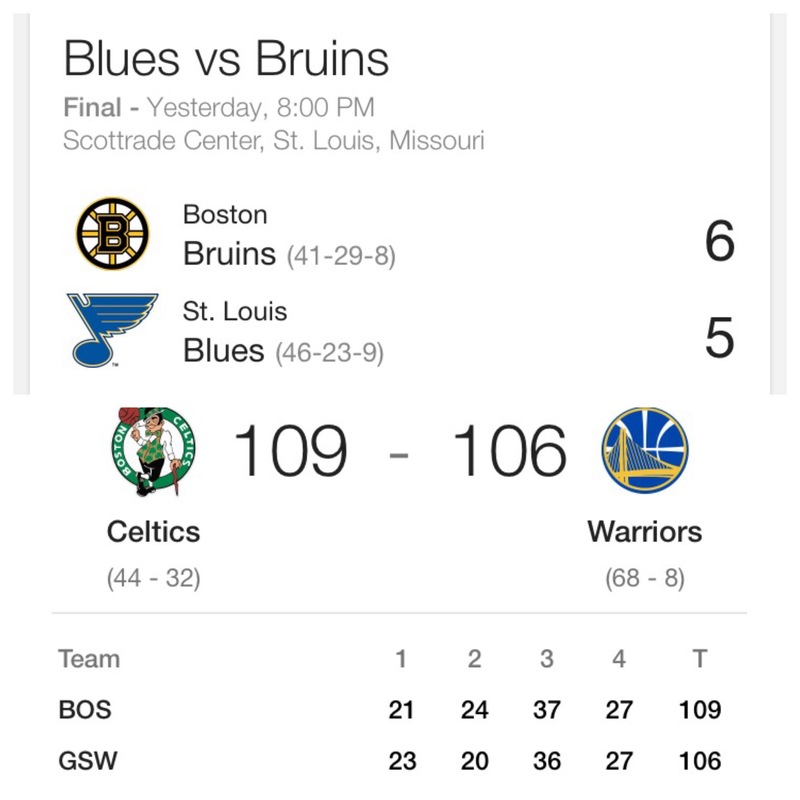 Both thr Bruins and Celtics were playing on the road in games that no one gave them a chance to win. The Bruins who were playing the St.Louis Blues had only given up 1 goal in 5 games. The Celtics who were playing the Warriors had not lost at home in 54 home games. Both teams played like their season depended on it, because it did. The Celtics in a tight standings race needs every win the can grasp, and the Bruins are a stones throw away from being out of the playoffs all together. Overall it was a solid win for both winter teams. The Celtics are now 2-2 on their west coast road and play the second to last place Lakers on Sunday while the Bruins take on Chicago also on Sunday.